A spice blend consisting of one or two types of dried red chillies that are ground and pulverized into a fine powder. Also referred to as a “chilli” powder, this type of seasoning may contain not only ground chillies but also a mixture of other spices, such as cumin, oregano, garlic powder, paprika, and salt, mixed into the chilli powder. Foods are often enhanced with this powder, depending on the chillies used for the powder and the intensity of the heat in the chilli. Pure chilli powder or ground chillies, which most often do not contain added ingredients, are available from specialty spice stores. These seasonings consist only of ground or powdered chillies and are added to recipes suggesting the use of seasonings without the additional ingredients. 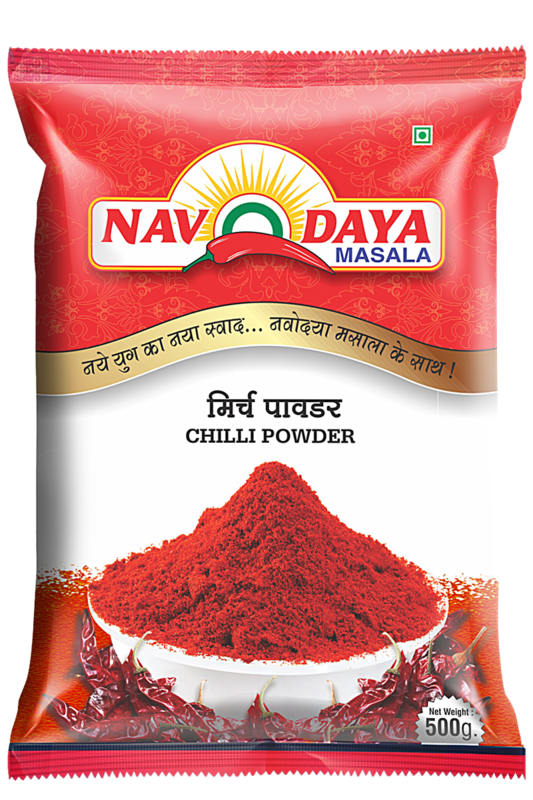 All types of chilli powders add flavor and heat to ethnic dishes. When a recipe includes “chilli powder” it is the common powder that is being suggested, unless it states that a specific type of chilli powder, such as jalapeno chilly powder or if it states ground chilli. Available in 100gm, 200gm, 500gm, 1 kg, 5 & 10 kg(Available in carry bag). © Copyright Navodaya Masala. All Rights Reserved. Powered by Spaculus Software Pvt. Ltd.